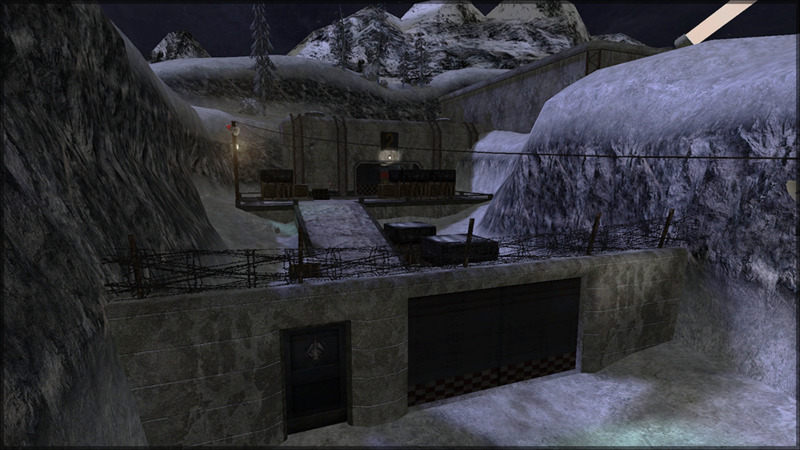 // 02.09.2018 Cedric 'keMoN' E.
This map is an overhaul of the original Frostbite map created by Moonkey. 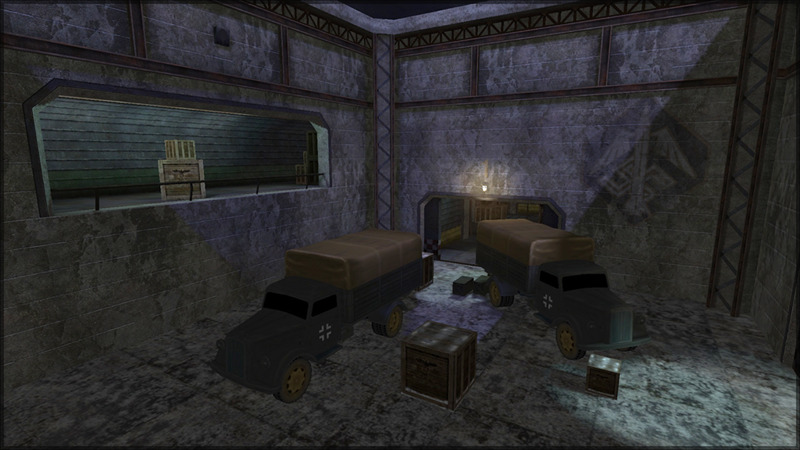 As part of the ET: Legacy asset creation effort certain maps are being overhauled. 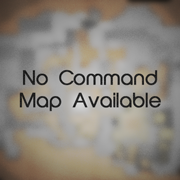 Those maps have been selected for their stable gameplay even in a competitive environment. The source file is included in the pk3. Primary: Steal the Supply Documents and transmit them back to Allied Command. Secondary: Destroy the Main Door into the Complex. Secondary: Breach the Storage Wall. Secondary: Dynamite the Service Door. Secondary: Prevent the Axis from constructing a Command Post in the Transmitter Building. Secondary: Establish a forward Command Post in the Upper Complex. Primary: Stop the Allies from transmitting the Supply Documents. 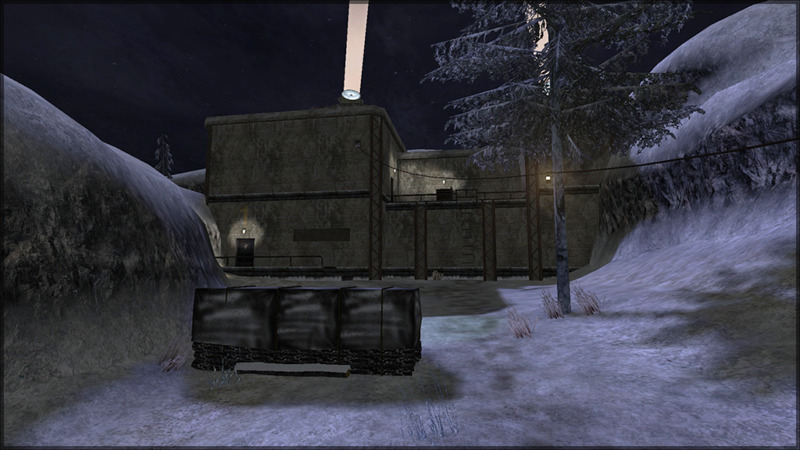 Secondary: Defend the Main Door. Secondary: Defend the Storage Wall from being breached. Secondary: Stop the Allies from destroying the Service Door. 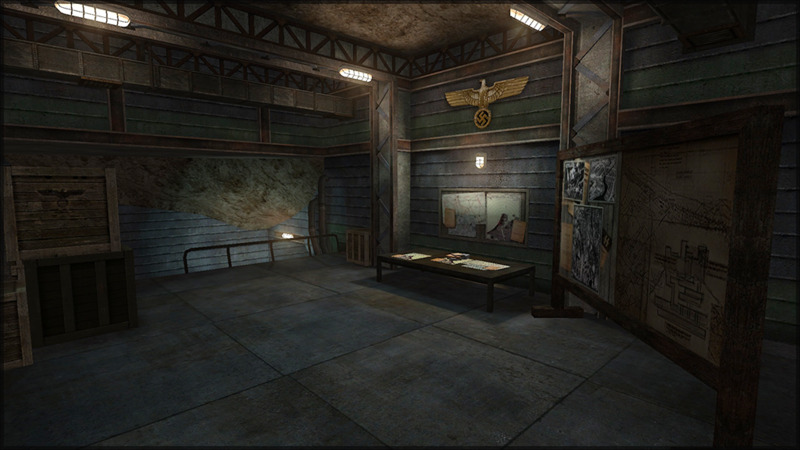 Secondary: Set up a Command Post inside the Transmitter Building. Secondary: Prevent the Allies from establishing a Command Post in the Upper Complex. • Fixed bug where the Allied CP didn't get destroyed properly. • Fixed models that had their origin positioned in a structural brush. • Fixed bug where team voice announcements for main entrance and side wall didn't get removed after objective completion. • Removed banners with swastikas in throughout the facility and replaced them with the Luff decal to stay consistent within one setting. • Removed clips some light models to allow smooth player movement. • Removed two misplaced speakers. • Added coronas to all electric light sources. • Transformed world_clips into a func_static allowing for better spectator movement to simplify shoutcasting. • Increased overall lighting from 15 to 20. 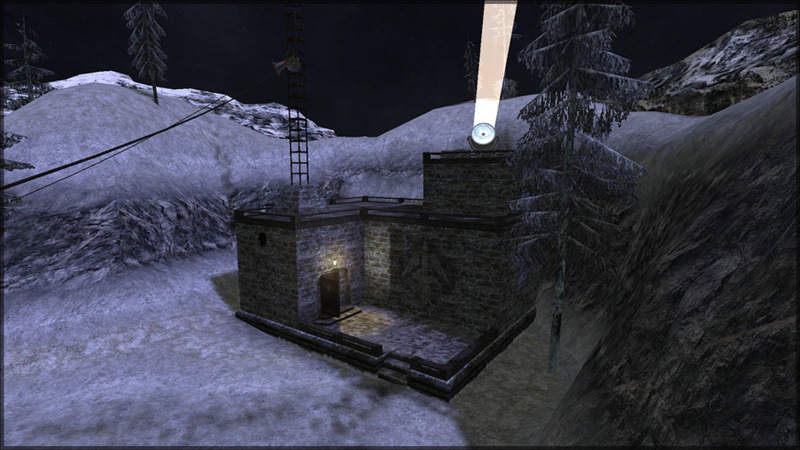 • The player is now able to stop and revert Storage Wall movement by activating the button again. • Alarm now also sounds when the Service Door has been dynamited before the Storage Wall and Main Door. • Entity count has been reduced from 479 to 360. • Structural mesh and VIS blocking has been improved. • Visual changes have been made.